Our names are Carly and Anna. We are in the VCAL class of 2019. 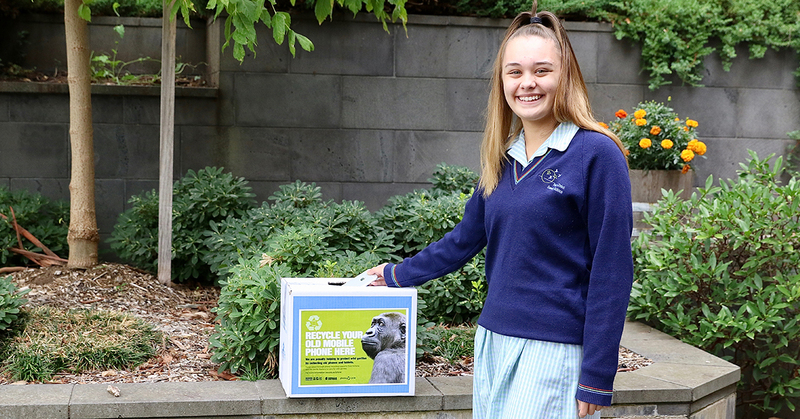 As part of Intermediate VCAL we will be running a phone drive for Werribee Zoo. We will be collecting old phones and donating them to the Zoo so that they can recycle the parts to help prevent gorilla extinction. Our target is to get as many phones as we can. a computer so they can study health trends and predict disease outbreaks. The phone drive will run from 2 May - 9 May. We will be setting up a donation station at student services so that everyone will be able to donate their broken and unused phones. Click here for more information about Gorilla Doctors and this important project.